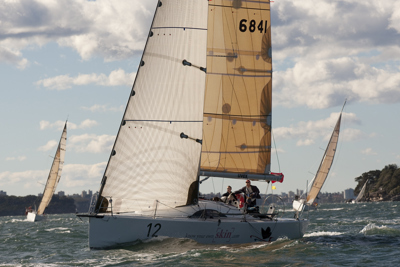 Papillon finished 35th overall and 10th in Division 3 of the Land Rover Sydney Gold Coast Yacht Race last year after finishing second overall the previous year. Recently finished 12th in Division B of the Land Rover Winter Series. Beforehand, sailed four races in the 2014 Blue Water Pointscore to finish 18th overall, with a best result of 17th overall in the Rolex Sydney Hobart. Phil Molony’s previous season was better; he finished third overall in the Cruising Yacht Club of Australia’s Blue Water Pointscore Series, climaxing with his being named 2014 Ocean Racing Veteran of the Year. Molony is aiming to start on a winning note in this race and to a continuing that theme for the rest of the season.